There are a lot of new companies beginning their journey in the cryptocurrency world, but most of them fail to deliver their promises. As we have written in our last article about the Elementus research, only 20% of the ICO had turned out to be successful this year. However, there are still some of them which manage to become successful or innovate in one way or another. A few months ago we have talked about Electroneum and what should you know about it. Recently, the coin got into the center of attention and that will be the topic of the current article. At the time we wrote our previous article about Electroneum, the price was around 2 cents and due to the downward trend that continued to unfold in the entire market (80% of the coins got to a value of 2 cents or lower) the price had weakened towards 0.5 cents and managed to bottom out there. The biggest announcement the Electroneum team had made was the launch of the Beta version of the Instant payment service. It was designed to enable instant payment with Electroneum and it is now opened for vendors. We’ve mentioned in the past as well that if any cryptocurrency wants to survive and also constantly grow, it must be in one way or another integrated into the economy and have its own functions. 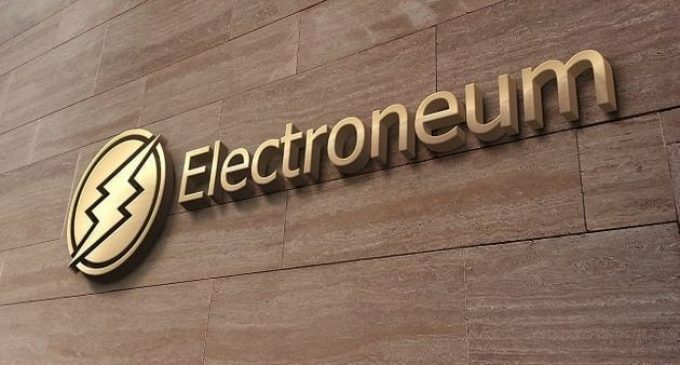 Richard Ells, the CEO of Electroneum, had constantly said that the key objective of Electroneum is to serve as a medium of payment for the “unbanked” (people with no bank accounts, which are estimated to around 3 billion), and with the Instant Payment service, more users will be able to have access and use the coins. From a price perspective, the situation thus far looks impressive, as you can see in the chart below. The price had jumped from half a cent on September 17th, towards 2.7 cents on September 27th. That means more than a 400% increase in just 10 days. From an order flow perspective, such a move would not be possible without extremely strong buying interest. However, as we can see, the upside is more tempered now, with the price located around 2 cents. Still, we suspect that following such an impulsive move, the order flow will gradually shift in favor of the bulls, but as we have mentioned in the article about pump and dump, bottoming formations take a longer time to form, so patience could mean you might be able to get in at a lower level.